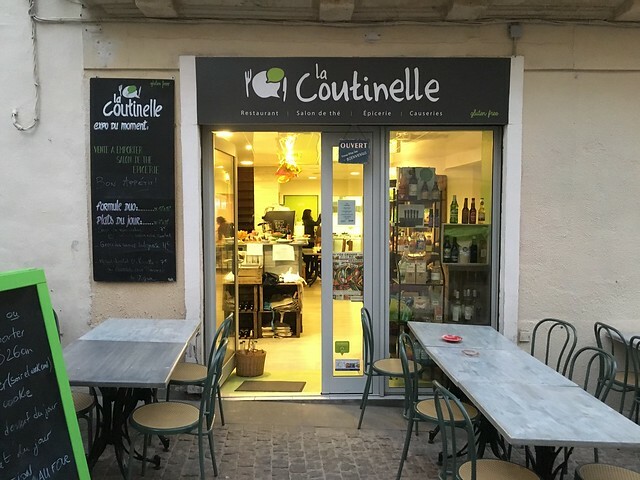 Finding a restaurant created and run by a fellow celiac is pretty much the holy grail of gluten-free travel - and La Coutinelle in the seaside town of Montpellier in the south of France is no exception. Beyond a kitchen entirely free from gluten, there is an impressive wall featuring gluten-free products ranging from spreads and sauces to a plethora of pasta I haven't seen anywhere else. 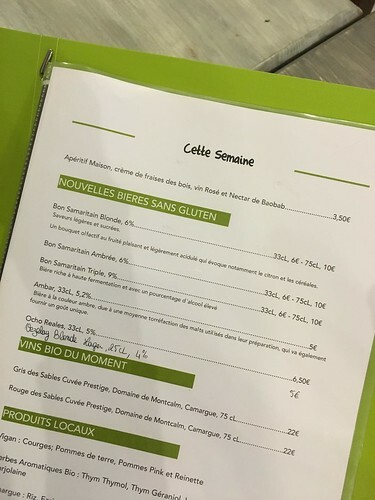 Add to that the entire refrigerator case full of gluten-free beer, and this might be the most impressive gluten-free restaurant I've seen yet. 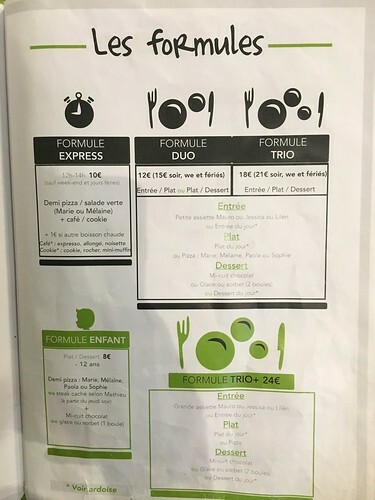 My husband found this gem when researching where to travel to on the southern French coast, based on, as it so often is, somewhere safe for me to eat. 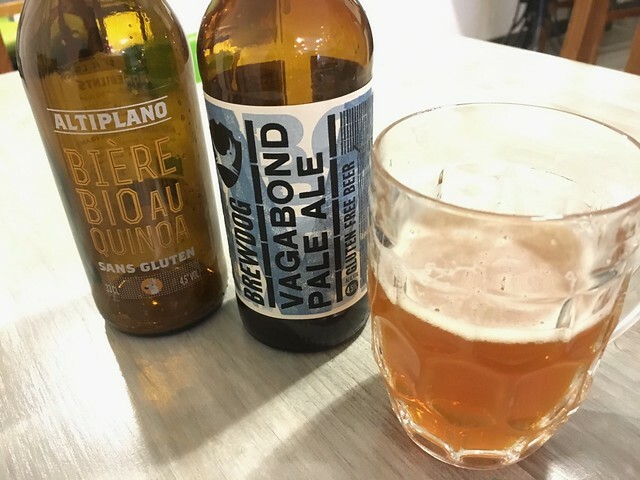 While the beach out that way was a bit disappointing compared to the Côte d'Azur I knew and loved, upon arriving in Montpellier for dinner on our way home, we immediately regretted not spending more time there. Walking through the narrow, winding streets to get to La Coutinelle, the city had a Barcelona-esque vibe, with lots of young people out at bars and cafes with friends, spilling out onto the streets. When we made it to our dinner destination, things looked even better. The fully stocked gluten-free beer case wowed us as soon as we entered, but then the wall of food stuffs and menu that proclaimed not only that is was a 100% gluten-free establishment, but asked patrons to refrain from bringing any outside food or drink in that could compromise the safety of others, confirmed we had come to the right place. The menu offerings were rather simple, with pizza, appetizers and burgers of an impressive assortment (from beef to fish to vegan), but very French in its decadent details and presentations. Since we wanted to try everything, yet again, we got an appetizer plate, a traditional beef burger and a pizza to share. 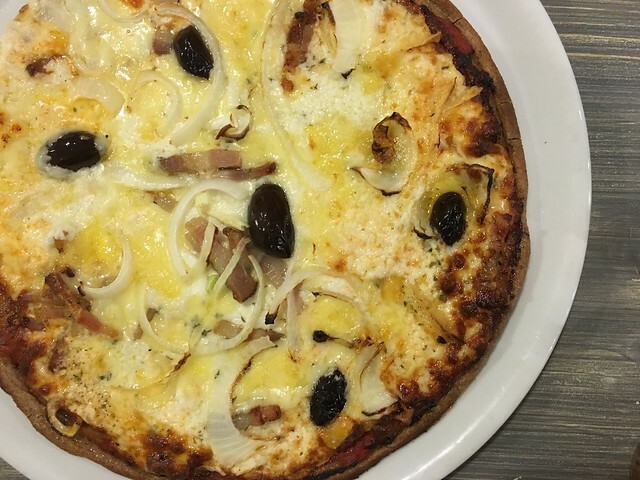 Our pizza had a similar chewy crust out of buckwheat to Berlin's Cielo di Berlino, but with the most incredible cheese and creamy, fatty toppings, it almost felt like dessert. 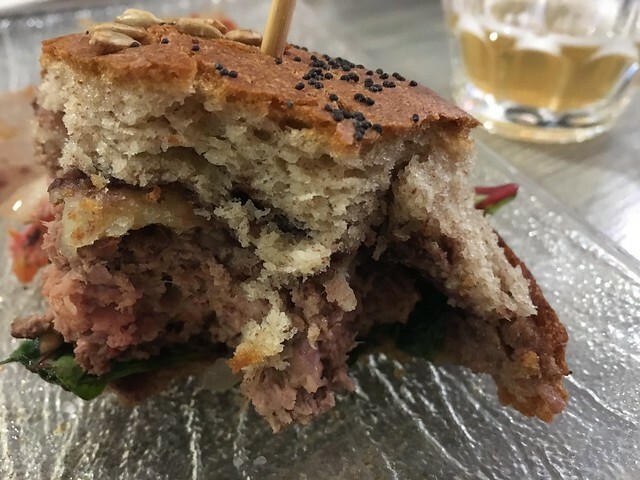 The burger was not overcooked, as so often happens in Europe, and the bun was fluffy and flavorful, perhaps the best gluten-free burger bun I've had yet. Going all in, I opted for some dessert as well, and where the apple crisp felt rather lackluster in presentation, it was made up for in simple and satisfying flavor. And of course, there was beer. 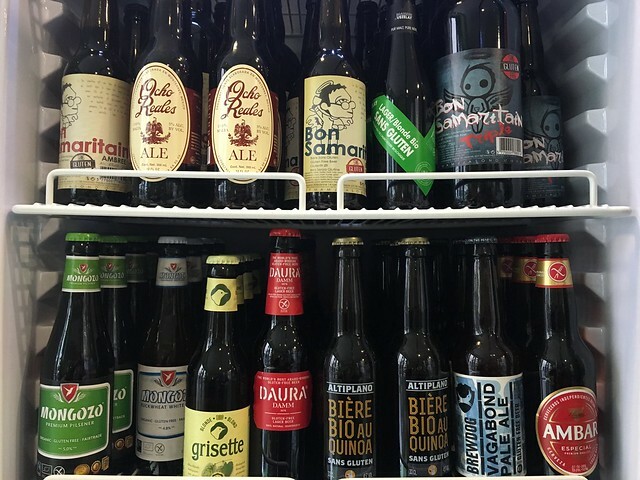 Lots of gluten-free beer. The owners of this casual little spot were warm and friendly, happy to make accommodations and answer plenty of questions. I could see them take pride in the gluten-free assortments they stocked, and even prouder when they saw how I oooed and ahhhed over all the treats that were safe for me to enjoy. The place was empty at our rather early French dinner time, but filled up pretty well as the night went on. The crowd seemed to be like us, deliberately seeking out free-from foods in a country that was practically founded on bread and cheese. Let me assure you, it is worth seeking out. Take part in #CeliacAwarenessMonth by exploring the hashtag and sharing more about the disease through resources like advocacy organization Beyond Celiac. 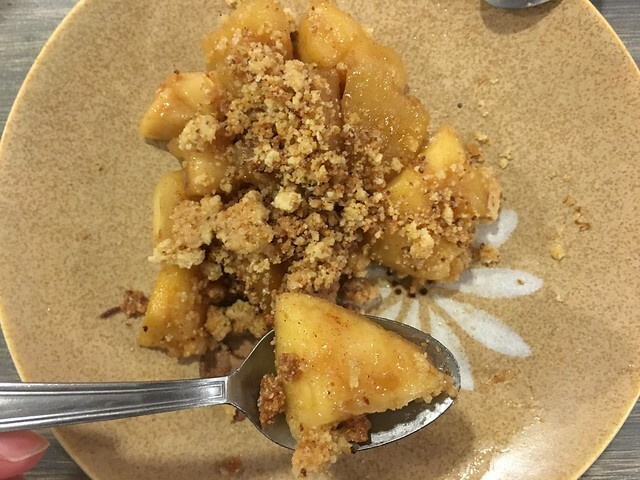 Don't forget to tag your positive gluten-free food photos and experiences with #celiacdoesntsuck - and help spread the gluten-free goodness! 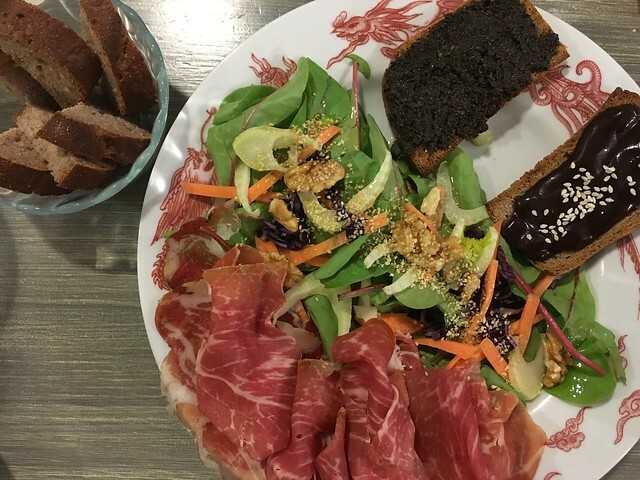 "Finding a restaurant created and run by a fellow celiac is pretty much the holy grail of gluten-free travel. " SO true! 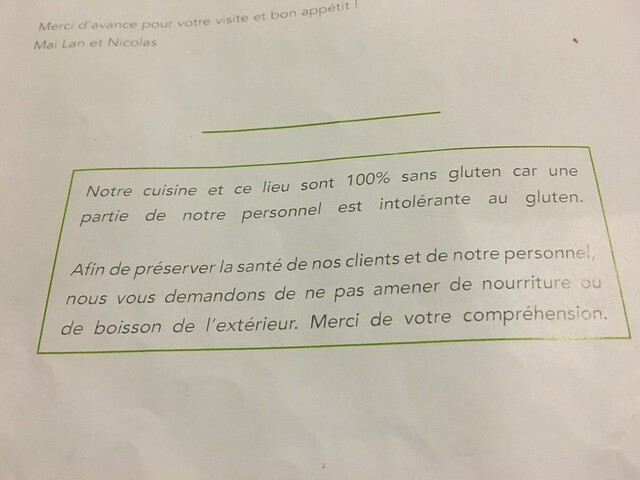 It is comforting to be so far away from home when someone understands exactly what celiac disease is and why you take being gluten-free so seriously.